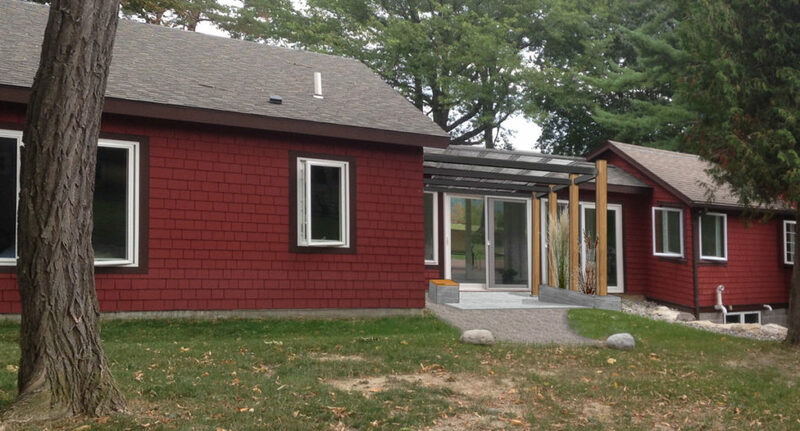 After a contemporary addition was added to a Skaneateles lake house, the owners wanted to renovate the existing cottage to give it an updated feel and also make it more accessible to their needs as aging seniors. Echo created a modernization plan for the existing house, and used the opportunity to harmonize the relationship between the old house and the new addition. The kitchen was reimagined to meet the client’s needs for entertaining while providing coherent and user friendly storage systems. An existing bathroom was rethought to now include a low threshold shower and laundry services. 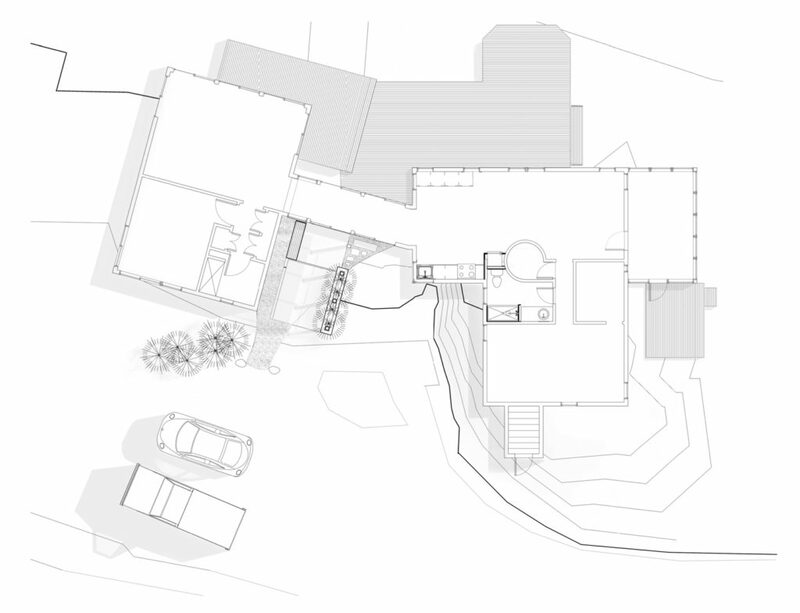 A secondary entrance is proposed that will provide an trouble-free approach to the house with an accessible access point which will aid in mobility, while unifying the function of a breezeway between the existing house and the addition. 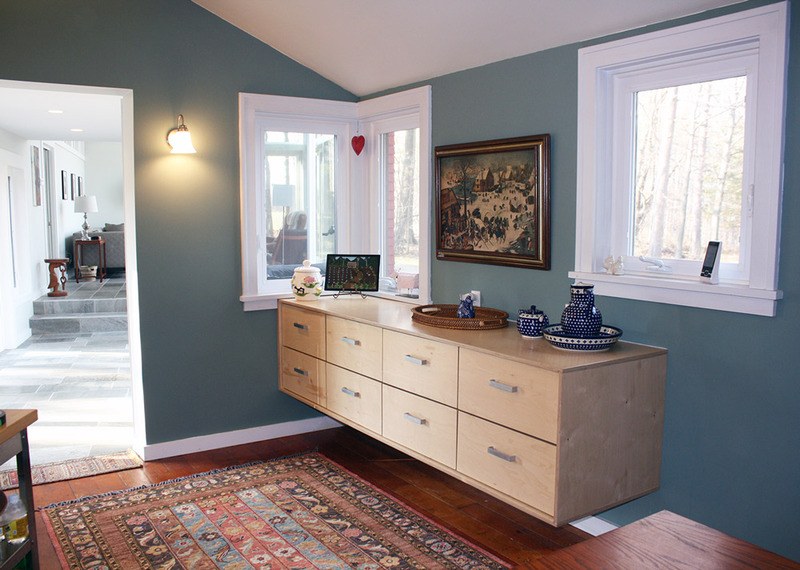 Echo provided architectural and construction services, collaborating with Full House Construction on the carpentry. 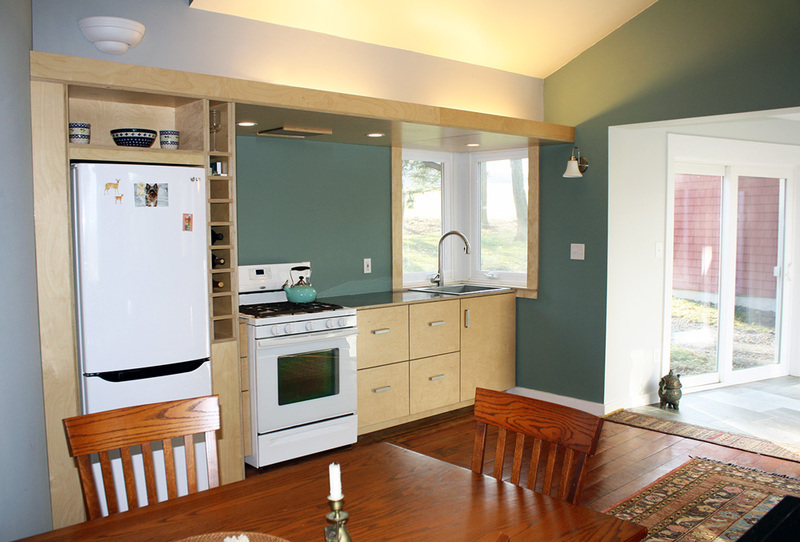 Echo designed and fabricated custom built-in pieces and cabinetry throughout. The work followed sustainable design principles with a focus on material efficiency.